Lobby Hours: Monday -Friday 8:30 a.m. - 5:00 p.m. Drive-Up Hours: Monday-Friday 7:30 a.m. - 6:00 p.
Whatever your financial priorities or needs might be, First National Bank has the ideal selection of accounts, wealth mangement products, loans and sound advice to help you meet your financial goals. 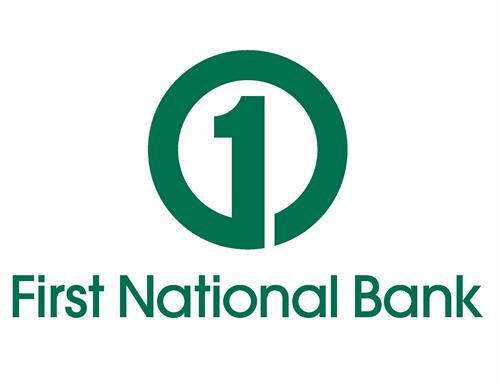 First National Bank has a history of doing what's right for our customers and the communities we serve that spans for generations. As one of the top banking institutions in Nebraska, we are proud to be a part of the First National Nebraska, Inc. community of banks. For over 150 years, this sixth generation family-owned business has become the largest privately-owned bank holding company in the United States. With locations in Nebraska, Colorado, Illinois, Iowa, Kansas, South Dakota and Texas, $19 billion in managed assets and nearly 5,000 employees, we haven't lost sight of the foundation on which our success was built. Integrity, Respect, Passion - these are the cornerstones of our Operating Philosophy and represent our commitment to you. At First National Bank, we strive to better serve you and your banking needs - and we are as hopeful and excited about the future of our bank as our founders were in 1857. We listen. We care. We trust.